Why read poetry? Why is poetry, contemporary or classic, worth teaching, experiencing and studying? 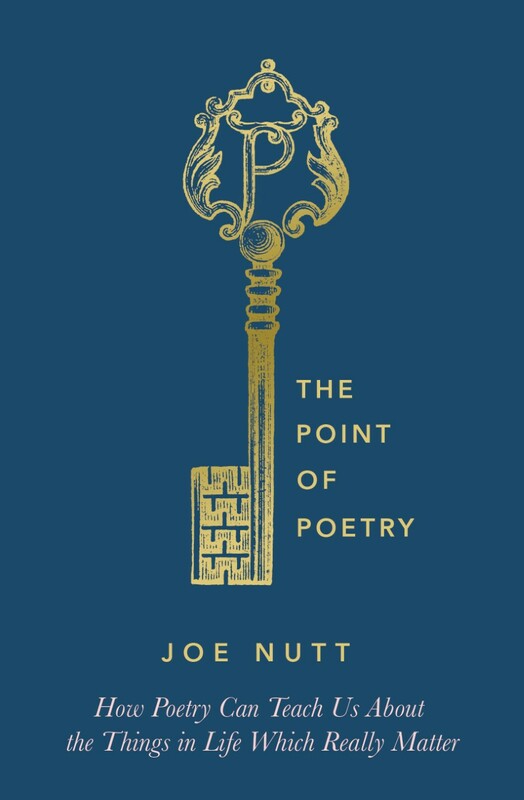 Joe Nutt, veteran of teaching poetry in many places to many people, has chosen a selection of poems, some well known, some classic, and some which are more challenging, and provided an essay on each one which has the stated aim of making the reader eager to read the poem itself. He wants to convince the vaguely interested, the not really interested, and the basically poetry phobic, that poems are the most challenging, the most exciting and the most expressive forms of writing in English. He is fond of likening them to a firework, being a mix of components which when lit gives the most amazing, fantastic and dramatic display. He is not merely a devotee of the form; he uses current events, well chosen biographical information and a critical eye to enthuse the reader to see new and exciting aspects of poetry both familiar and unknown. He writes that this book “is not as ambitious.” as War poetry, which he does not directly cover; “It doesn’t set out to change the world”. He patiently but never tediously seeks to convert every reader to the enjoyment and excitement of poetry, maintaining a certain pace which attracts, enlightens and certainly makes an excellent case for the poems he features. This is not an exam passbook, painstakingly going through each poem in every metaphor, simile, alliteration and all the other points that can obtain marks in a written paper. Rather, it seeks to transmit the excitement and living nature of poetry whether read from the page, recited aloud, or part of a performance which tends towards rap. As someone who has tried to teach poetry in many settings, and sometimes failed to see the point, I was delighted to read and review this book. The selection of poems in this book is often surprising, subtly reassuring, and sometimes extremely challenging. War poetry, such as that of Owen and Sassoon which can maintain interest because of its graphic nature is not here; instead there is the wonderfully subtle and somehow powerful “Adlestrop” by Edward Thomas in which nothing has changed, but there is no one thing the same. Rosenberg’s poetry is not graphic in the same way, pondering the universality of a rat in the trenches. There is a Shakespearean sonnet, number 18, which is discussed partly as providing possible chat up lines, while acknowledging its power and beauty. Carol Ann Duffy’s “Mrs Midas” is not only seen as a clever poem giving a voice to the wives of the well known, but also describes the sexual and physiological effects on a marriage of time as well as a memorable curse. Nutt acknowledges that Blake’s “The Tyger” has been so often taught in schools as to be trotted out with no understanding, but that when looked at with new eyes has a deep power which has hitherto been unsuspected. Donne’s rather exciting life and choices is examined in the light of his “Twickenham Garden”, while no implication, racy or otherwise, is ignored in “To His Coy Mistress” by Andrew Marvell. Abandoning classic poetry for the moment, he explains, critiques and generally comments on performance poetry in “Famous for what?” by Hollie McNish. This is a brilliant book, commenting not only on the poems included but also on poetry generally, the classical expectations and the more modern challenges. Whatever your experience and feelings concerning poetry, this book is a valuable addition to any collection of books on the subject, enthusing, arguing and crucially providing the scaffolding for a true appreciation of the poet’s art. As promised, this is my review of a poetry book; no one can deny that there is a variety of books on this blog! It is a really fascinating book which has just about converted me to not only analyse poems, but look harder at their context and the people behind them. I’m not sure it can be transferred to every poem, but this a useful collection which should cover many situations! Interesting! Must look this one out. I hoped that you would spot this! I think you would find it interesting, as he certainly argues for looking at poetry in new ways.